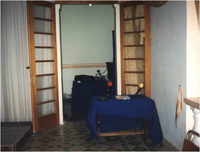 Radio Lehen il-Qala was set up way back in 1996. It was the 25th of July of that year when for the first time a local voice was heard on our radio sets – a voice that echoed into our homes and is still echoing today in a wider and stronger dimension. Canon Karm Refalo, who was the archpriest of Qala at that time, took the initiative to embark on this new project of setting up a community radio station. Helped along by a group of young people, full of enthusiasm and dynamic energy, they succeeded in transmitting the first schedule of programs for the occasion of the feast of St. Joseph, patron saint of Qala. It was a totally new idea for Qala and even for Gozo, but which took root and is now spread all over the Maltese islands in a considerable number of community radio stations. One may ask, was it opportune that such a radio station should be set up? The answer is definitely yes. Otherwise, how could the station be still functioning fifteen years after it started? The station serves many purposes. Firstly, it is a valuable means of transmission. Besides, it forms a link with Maltese emigrants scattered in so many countries overseas; it is a means for spiritual and social teaching. In addition, it is also a means of support and consolation to so many lonely old or sick people. Listening to a voice coming from a village in the east of Gozo and following all that is happening in the world beyond their rooms, surely provides consolation and companionship – by making them feel part of that world. The beginning was difficult. Resources were limited. None of those involved were experts in the field of transmission. It all started from scratch in a small room on top of the church sacristy. Yet, it was from there that the voice which today still echoes first emerged. The first schedule of programmes spread over a few days was successfully completed and all felt happy and proud of the achievement. During the days following the village feast, many were asking, ‘’Why did you stop transmitting?” It was evident that the idea of a local station had been positively welcomed in the village. Not just so, but the community of Qala was in favour of having such an initiative explored further. The enthusiasm of the pioneering group was strong enough not to let the idea die out but instead to develop it. And that is exactly what occured. From then up till now, the programme schedules only improved with each and every season – both in quality and quantity. 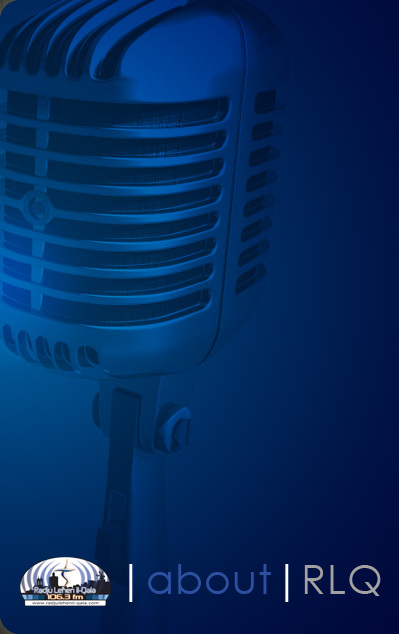 Originally, Radio Lehen il-Qala transmitted on frequency 106.5FM. But when a national radio station started broadcasting on a frequency quite close, it caused a hindrance to our community radio. People were complaining that the voice of the local radio was no longer vivid and thus, following such programmes was starting to be problematic. This was an additional indication Radio Lehen il-Qala was indispensable and highly esteemed by its listeners. It was also a confirmation of an efficient and modern way of spreading the Christian message to the whole community. An official request was therefore made to the Broadcasting Authority and Radio Lehen il-Qala was given a new frequency – 106.3FM. Since its inception, Radio Lehen il-Qala has operated from various transmission studios – always aiming at giving an improved service. Unfortunately, this did not always turned out to be so! One can only learn through mistakes. In 2005, the thought of having new premises and brand new state-of-the art equipment was brought up. Although keeping in mind that this should bring about various sacrifices and financial problems had to be overcome, the idea was immediately approved. Nevertheless,this still required strength and cooperation amongst many and, in the end, it was exceptionally backed up by the locals and volunteers. 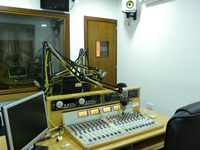 The contribution of many resulted in this station’s new studios with their equipment of a superior quality. In addition, they are more comfortable and rank the station on a higher standard. After all, this suits the high image the radio conveys. Finally, these studios have been inaugurated on the 28th July, 2008 and are currently under the direction of the present archpriest Canon Dr. Joe Zammit. They are committed to inprovement in order to enhance the vioce: the voice which for the past 15 years has been the fortitude primarily for the weak ones and for emigrants – and this will lay the way to keep it potent enough to echo to the future generations. It is true that this is a community radio. Equally true is that it is small. Yet no one doubts that it has a big heart. This heart grew in size and strengthened its beat thanks to all those who at one time or another have done their part in its service. There were many who in the course of the years have given their time so that Radio Lehen il-Qala could continue its service towards the community. Presently, the radio can make itself heard both locally and overseas by means of the internet. Through webcasting, emigrants who are living so far from their native town can still feel united to it in spirit. This has been supported by the webcams which have been set in both the St. Joseph Parish Church and Square. Thus the motto, ‘Connecting people all over the world’. The secret behind this successful story was the dedication, involvement and sacrifice of the volunteers helped along by the invisible hand of God and those of our Patrons, St Joseph and the Immaculate Conception. There was no barrier that could not be reached and what had originally seemed impossible had now become a reality. 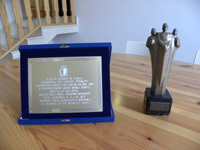 We look back with a great feeling of satisfaction and feel proud of our achievement. We do not intend to stop here. The past is a guarantee for our future. Under the guidance of the Patron Saints of Qala, St Joseph and the Immaculate Conception, we shall go on being the means for bringing the radio’s voice into the homes of our listeners.